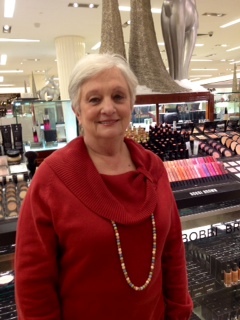 I was treated to a make-up event at Saks Fifth Avenue in Troy, Mich. by my friend Randie Levin. Randie bid on the event at a local charity auction. About a dozen women watched Randie get a new look from the Bobbi Brown make-up artist. Here are the 12 easy steps to for a natural look. Randie looked great. Everyone thought that the BB Cream product was must-have as Randie’s skin glowed. See Randie’s natural polished look. What’s your favorite make-up product? It’s so hard to pick, but I feel pretty naked without eye liner!